Both roasted and unroasted almonds provide fewer calories than previously estimated and the amount of calories is largely dependent on the form of the dry fruit consumed, according to a new study. The study conducted by scientists from the US Department of Agriculture (USDA) shows that compared to the number of calories listed on nutrition labels, participants actually absorbed 25 per cent fewer calories from whole unroasted almonds and 19 per cent fewer calories from whole roasted almonds. 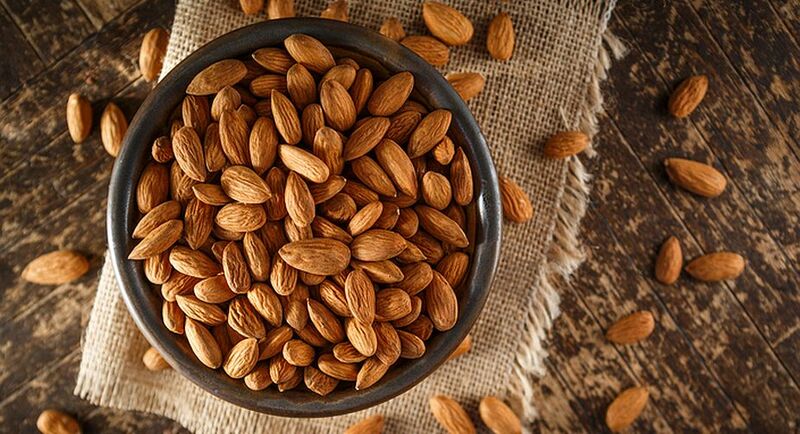 David Baer and his team from USDA’s Agricultural Research Service (ARS) conducted a controlled human clinical trial using a new method to measure the calories absorbed from almonds, taking into account calories actually digested and absorbed from almonds. Traditionally, calories are determined using what are known as the Atwater factors, which assign an estimated number of calories per gramme of fat, protein and carbohydrate in a food. “We expanded upon the Atwater method in our study, so we could tease out the caloric value of a single target food,” said Janet Novotny, a physiologist with the research team. “Then using the study participants’ energy intake and energy output, we were able to measure the number of calories actually digested and absorbed from a single food – in this case, almonds,” said Novotny. In 2012, the researchers had conducted a study using whole roasted almonds, which showed that the almonds provided fewer calories than previously estimated. This time, however, the research team broadened their investigation to examine the calorie availability of additional almond forms, and also replicated the measurement of calories absorbed from whole roasted almonds. They found that whole unroasted almonds provided 25 per cent fewer calories than expected, while whole roasted almonds provided 19 per cent fewer calories. Chopped roasted almonds provided 17 per cent fewer calories, though the difference between the calories absorbed from chopped and whole roasted almonds was not statistically different. Measured calories in almond butter did not differ from calories estimated using Atwater factors, researchers said. The Atwater method of calculating calories may overstate the calories from almonds because it simply doesn’t account for the fact that not all calories from almonds are available to the body, they said. The chewing process does not completely break down almond cell walls, and almonds are therefore not completely absorbed during digestion. “These new findings confirm that we actually get fewer calories than we thought from almonds, whether they are whole or chopped, roasted or unroasted, and the amount of calories absorbed is mostly dependent on the form of almonds consumed,” Baer added.